It’s already been over three months, that I started to take birth control pills again for my acne. I thought it would be a good time to show you the results. 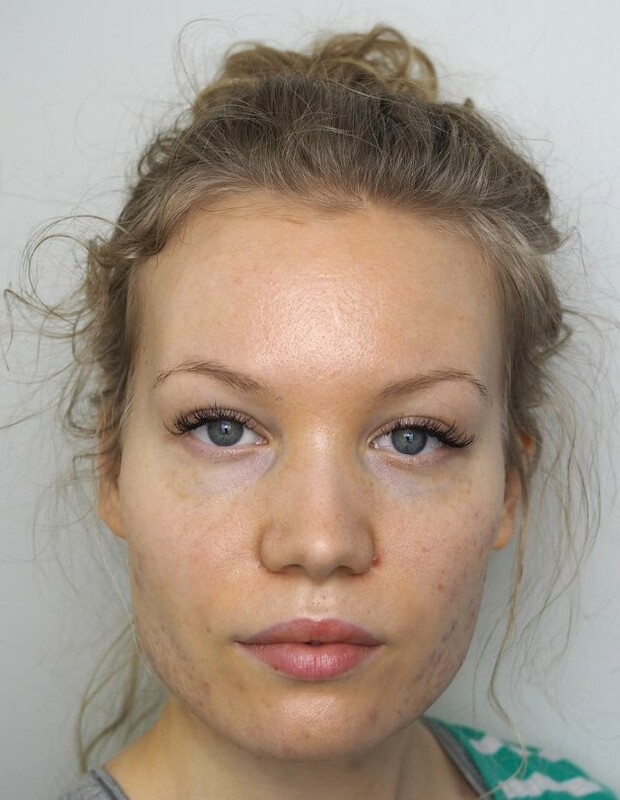 Looking at these photos and my skin, it just goes to show how slow it is to treat acne. No treatment is quick – especially when the acne is as bad as it was with me. It takes a long time for the skin to heal properly and it takes a lot of patience. However, the pills have been working for me, as I had anticipated, since I’ve already gone through this once as a teenager. The pills I take are called Cypretyl and they are the strongest one (I think). They are especially made for acne. Hormonal acne. This was my skin in November – it was even worse than in this photo, but this is the best photo I could find. Then this is my skin now, in February. So how does my skin look and feel now? Well, most of the acne is gone. I say most, because there are still some stubborn ones. Not so much on my face anymore – and the ones on my neck are also kind of fading – but the part that is healing the slowest is my back. But it is healing too. And no, I don’t have any pictures of my back acne, I haven’t documented it here. I trust that showing you my bare face is bad enough. Haha. Obviously for these photos I got a new zit on my face, but believe me when I say that it’s rare nowadays. Even though my face might not look like it in the photos, it’s so smooth. Honestly, I still shiver when I think about my acne at it’s worst: it was super painful and applying makeup or lotions or removing makeup or touching my face in any other way hurt. My skin now, after taking birth control pills for three months. Active acne is gone (besides a few zits) and all that’s left is scarring, which is fading pretty quickly. My acne scarring is fading pretty quickly too. I was a bit scared about that part. At first the scars were so red and I could feel that my skin was uneven on those areas. But day by day they have faded and it’s getting easier and easier to hide them with makeup. And as I said, my skin feels smooth. So I’m pretty optimistic that I will have a good-looking skin by Summer. This year I need to be even more careful with sunscreen though – my skin has gone through a lot and is sensitive to sun damage right now. The pills don’t only take away acne. They also adjust the skin type a bit. My skin is not as oily as it has been before, it’s more of a dry combination skin now, especially since the weather has been super cold here. Treating my new skin is fun – it can take more lotion and it doesn’t break out as easily as it did before. Altogether I can say that I am super happy with my skin. Making the decision to start taking birth control pills again was hard and I had some regrets in the beginning, but right now I feel like it was the right decision. I had forgotten how it feels to have my skin back. Even though I worked on my confidence during acne, I still feel more confident now that it’s not that visible and startling anymore. And one of the things I am super happy about, is that I also have found my love of makeup again. Having acne I just didn’t even feel like wearing anything on my face and nothing seemed to look good on me. And taking makeup photos for blog posts was torture – when I tried to take photos of my makeup the only thing taking all the attention in the photos was my red, bumpy acne. Well, no more. I am so relieved, happy and feeling a lot more like myself. This journey has also affected my skin care routine, and treating those acne scars is super important – so I will update you about that soon. Any other acne victories? Or are you still searching for the cure? However it is – I hope your skin gets better too and I send you a lot of hugs, because I know how hard it can be to battle acne. 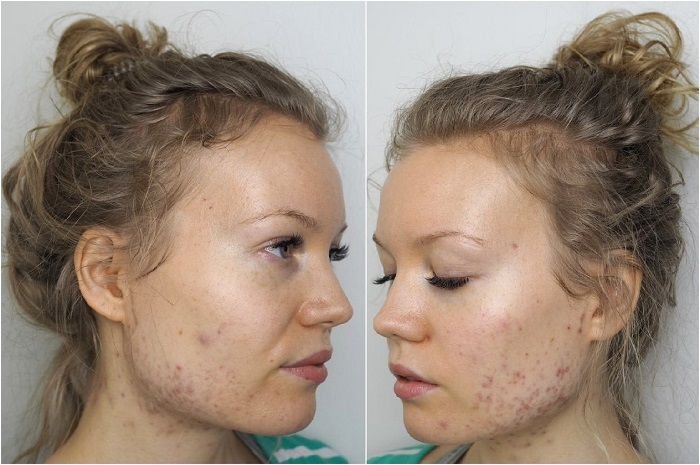 Acne takes a long time to heal, but the progress is visible in your pictures. I am glad it worked for you. Ihanaa, että sait apua! Ero on huomattava 🙂 Ja sekin, ettei iho enää tunnu kipeältä, on varmasti asia, mitä arvostaa aivan eri tavalla. I have acne scarring and I really appreciated seeing someone who has acne, but who still wears makeup and looks cute with it, it’s very inspiring! It definitely was not the first thing I noticed, however. I think we tend to magnify it. Congratulations on finding something that is helping it go away, painful cysts are never fun. You know how much I can relate to this, hon. I am an acne former fighter! I still get an occasional monthly spot here and there but the main skin issue at the moment for me is scarring and uneven skin surface because of the said scarring. I have learnt to accept it and cover it more or less okay. So happy for you and your progress, my lovely!!! Told you this before but will repeat it over and over again – you’re beautiful inside and out. I used to take birth control pills too to fight acne many years ago and they worked amazingly. My skin cleared after a few years of using them and since turning 30, I haven’t had acne problems anymore but I have to think of another issue now I am 30+, wrinkles haha. It never ends! Just kidding, I love how my skin looks and you look great too Charlotta, glad to see that they worked for you! You have no idea how glad I am to hear that the problem stayed away even after you stopped taking them! I bet it has something to do with hormones and age. So maybe I’m safe, if I just eat them long enough and eventually stop taking them. Haha, wrinkles just tell of a happy person <3 Thank you for commenting Yiota! Olen blogisi uusi lukija, oikeastaan niinkin uusi, että tämä on vasta kolmas postaus jonka sinulta luen. Pakko oli tulla kommentoimaan, että tämän ajoitus ei olisi voinut olla parempi! Olen 22-vuotias nainen, ja aknen kanssa tapellut kahdeksan vuotta. Aloitin muutama päivä sitten itse syömään Cypretyliä, hieman epäileväisin mielin, koska en ollut ennen tästä valmisteesta kuullutkaan. Ihanaa oli lukea tästä sinun rohkaisevasta kokemuksestasi, ja tulokset näyttävät todella hyvältä! Jään ehdottomasti lukemaan ja seurailemaan blogiasi, sekä innolla toivoen odottamaan, että saisin itsekin Cypretylin avulla näkyviä tuloksia. Ihanaa kevään odotusta! Wow amazing progress! I’m so glad this is working well for you.